Girls, stay focused! Today I've decided to share with you a beauty secret that I just cannot keep to myself anymore. I don't think I've ever found a makeup/skincare product that I could consider as the best of the best in its category, but there is always an exception to the rule. I am 100% positive I have found the best makeup remover I could ever wish for: Bioderma Crealine H2O. I want to emphasize that I'm not being payed or sponsored to review this item. This is a beauty advice coming from my experience with the product and all the greatness it has done to my skin. Some girls think it's important to use good quality makeup and moisturizers in order not to break out, but don't give major thoughts on which makeup remover they use because, oh well, it will be on your skin for less than a minute and off we go. I used to be a part of that group, using makeup remover towelettes that made it fast and easy to remove all makeup. Yet my skin didn't feel that good. Even if you use a facial cleanser after removing your makeup, I believe some of the makeup remover ingredients have already had an effect on the skin. 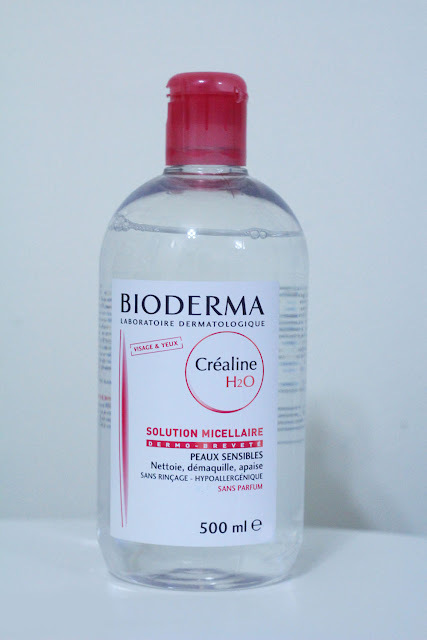 I know this now because ever since I started using Bioderma two years ago, my skin has improved substantially. This product looks like fancy mineral water, or else ask my dad. I once lended the Bioderma bottle to my mom for her to try when they came visiting in Hong Kong. Apparently my mom left it in their hotel room's washroom, and my dad almost drank it thinking it was one of those complimentary water bottles hotels usually have! Well, weird family stories aside, the truth is this is a relatively new technology called micellar water, and I have nothing but good things to say about it. Away are the days when makeup removers made my eyes sting like crazy, this Holy water has no alcohol nor fragrances in it and even if it gets in your eyes, you won't feel a thing. 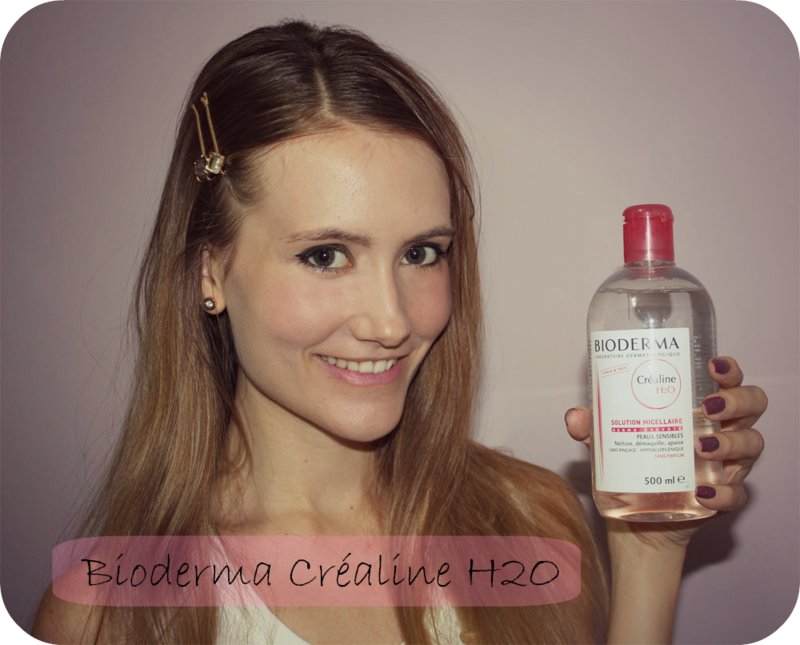 Bioderma Crealine H2O removes all the makeup fast and easily without feeling greasy nor stingy. I'm absolutely head over heels for this product and if you give it a try, so will you! Sounds like a good product, I am allergic to most ingredients of such face celansers, so I will have to look into it more closely. P.S. : Bless you Dad, that made me laugh! Hi Olivia! Just found your blog and am your newest follower on GFC #249 and bloglovin! Check out my blog if you'd like! Thanks:)!